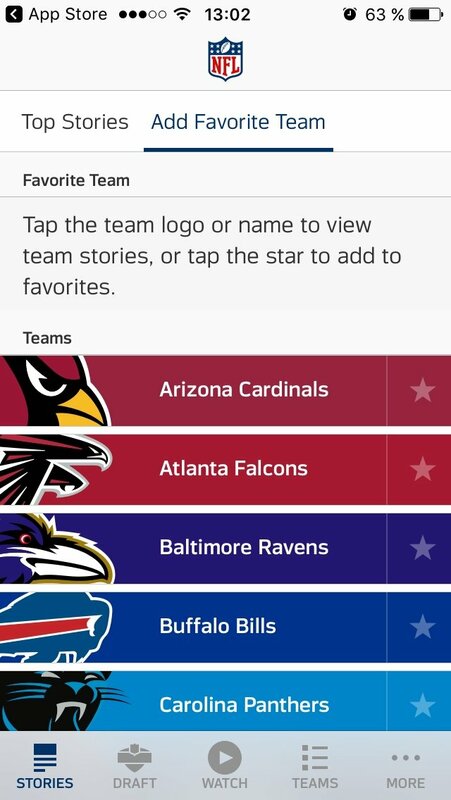 Fans of American football will find in the official NFL application the best option to follow everything that happens during the competition. 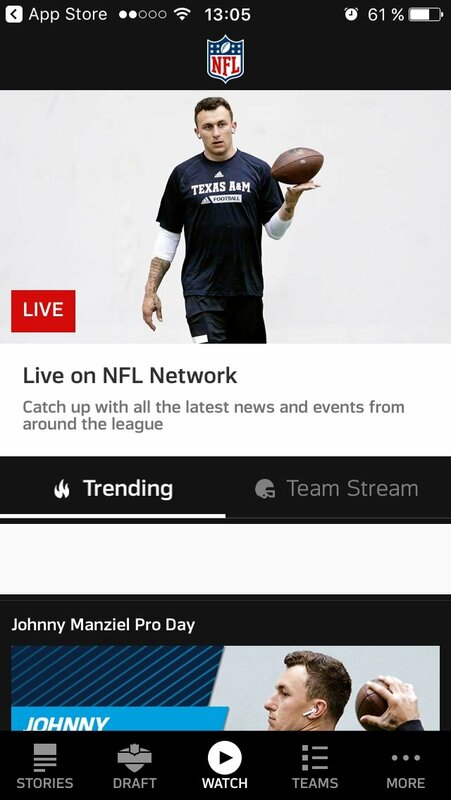 If you're an iPhone user, don't hesitate to download the app, especially now that video plays such an important role on its interface. 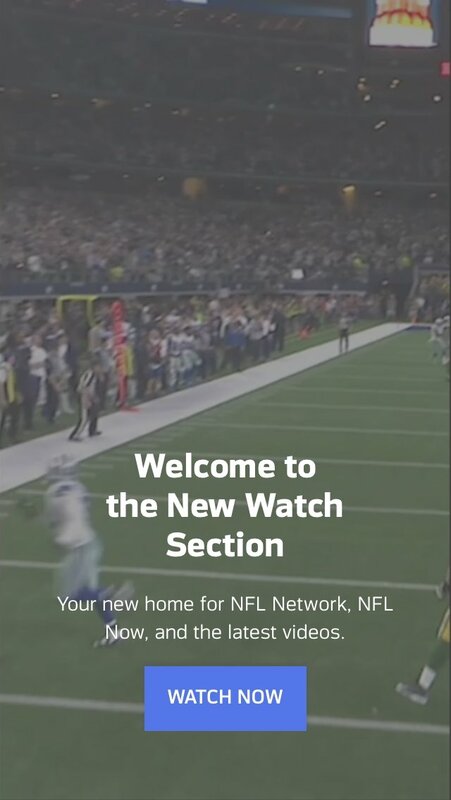 You can watch game highlights, interviews with the players and coaches, commentary from renowned journalists, and the fans' reactions, but also access all sorts of information. 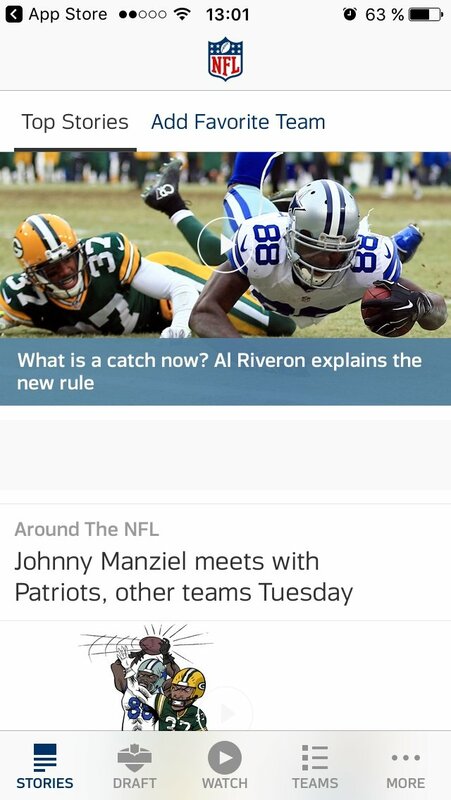 The app that keeps you up to date with the NFL. The interface is divided into several tabs accessible from the bottom of the screen. 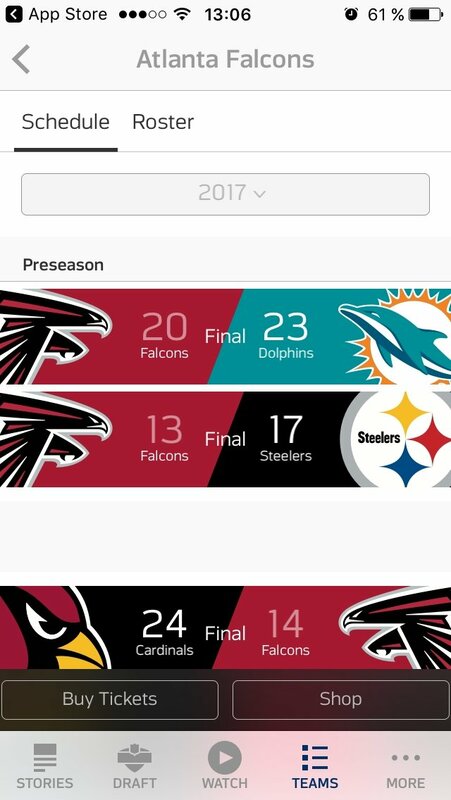 In the Stories section, you can follow the timeline of all the news that happens, as well as the information about a certain team. 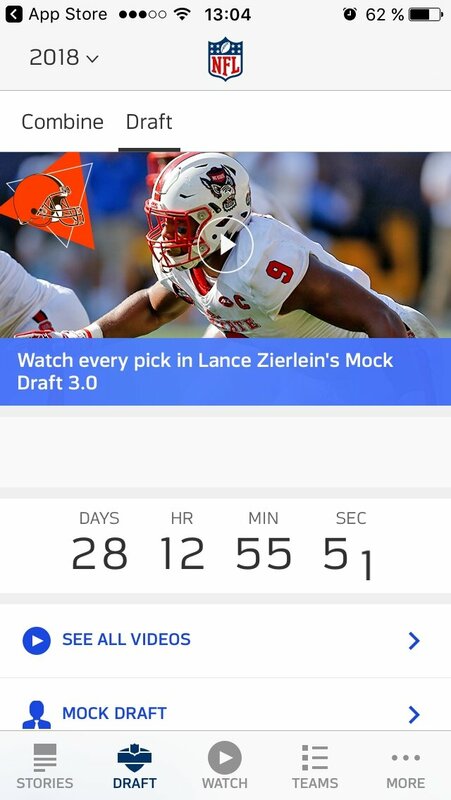 The Draft section grants you access to the process of selection of college players and candidates to join the professional league the following year. The majority of video contents can be found in the Watch section with live coverage and analyses carried out by pundits. The Teams section offers us information about results and schedules for each team, allowing you to purchase tickets or products from the store. Finally, in the More section, you'll find loads of additional options. Follow the outcome of each match live. Access the most viewed videos and special moments of the competition. 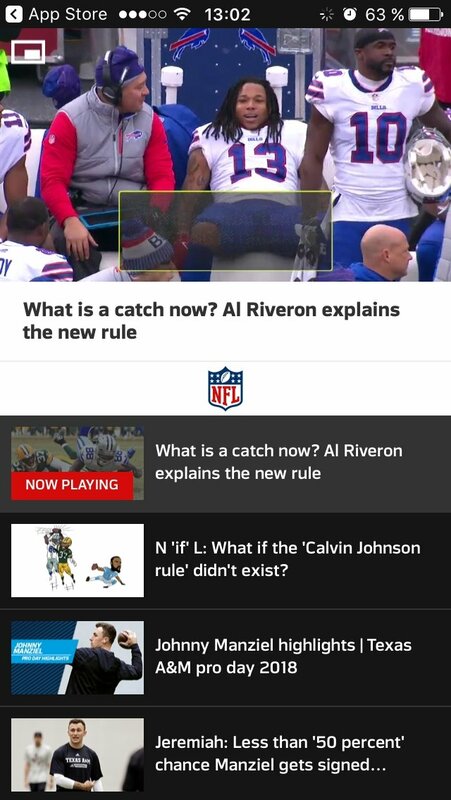 You can watch any past match thanks to your NFL Game Pass subscription. Receive the latest news about what's happening in the competition. 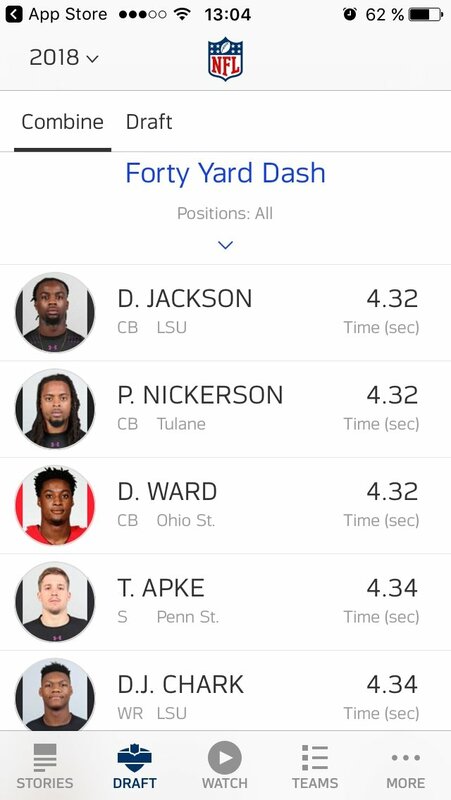 Check all sorts of stats about teams and players. Enjoy watching the Super Bowl. 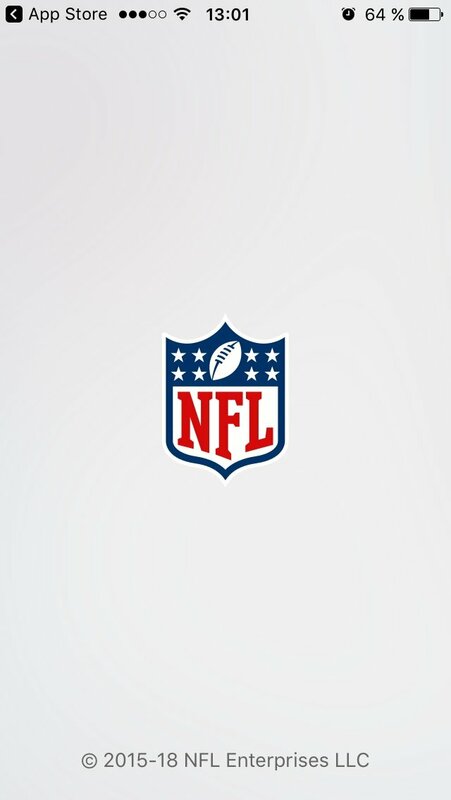 Purchase products from the official NFL store or from each individual team's online shop. 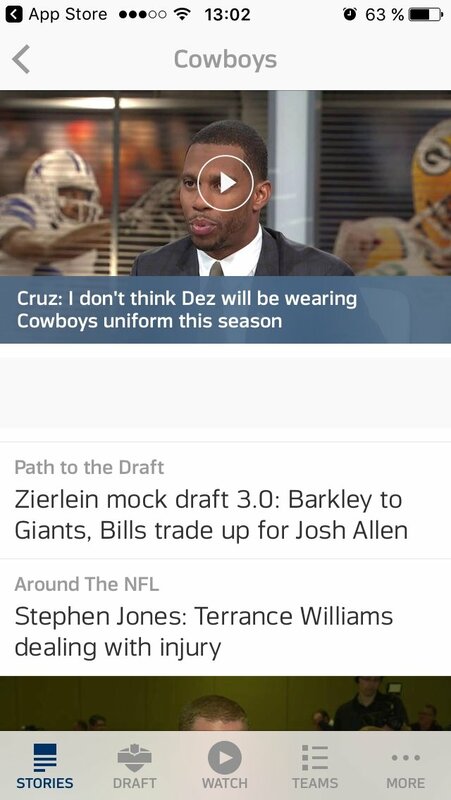 The NFL app is one of the most complete tools out there, a must for any American football fan. Don't hesitate to download it to your iPhone, as it's free and you'll have instant access to the competition and its broadcasts once you get hold of the corresponding pass.